St Mary’s Pre-School offers education from two and a half years including sessions covered by Free Entitlement funding. It is open every morning and four afternoons each week during term times. 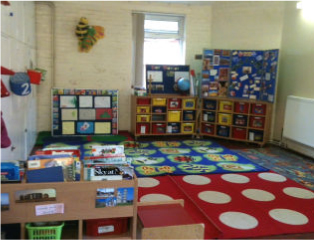 It is founded on a caring Christian ethos where every child is valued as a unique individual and all activities are based on the principles of Early Years Foundation Stage. St. Mary’s Pre-School has been awarded “Recognised Forest School Provider Status” by the Forest School Association’ and and all children are able to do Forest School sessions once a week throughout the whole of the year before they start school.